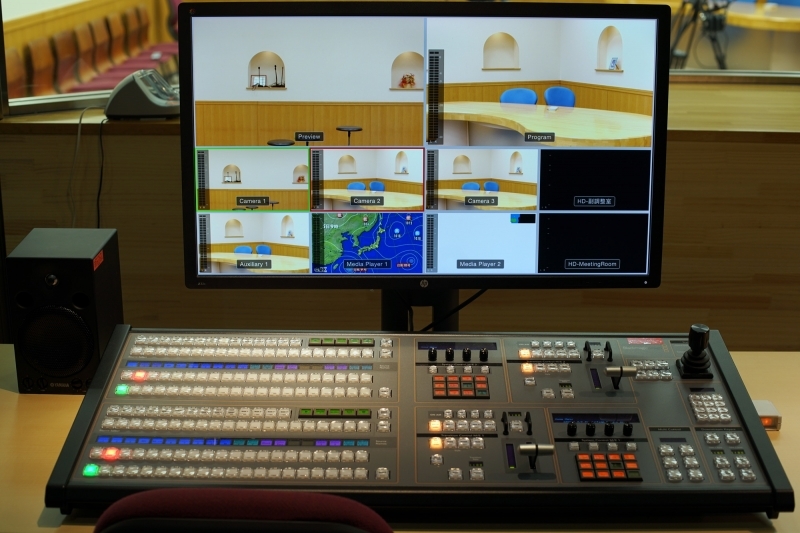 Blackmagic Design announced today that Surugadai University built a new 4K studio using Blackmagic Design’s Studio Camera 4K, ATEM 1 M/E Production Studio 4K and ATEM 1 M/E Broadcast Panel. 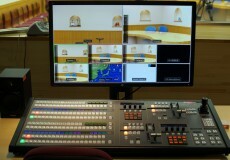 The products have been installed in the studio in Surugadai University Media Center. The installation, which upgrades the studio from SD to 4K, also includes a workflow built around other Blackmagic Design products, including ATEM Talkback Converter 4K, HyperDeck Studio Pro, Teranex Minis, SmartView 4K and SmartScope Duo 4K. The Faculty of Media and Information Studies is made up of three courses. The Audio-Visual Media course is focused on studying forms of expression in visual and auditory media through the process of producing content such as commercials, video messages, music videos, dramas and documentaries. Students can learn techniques they can make use of when they get jobs at broadcasting stations, radio stations and production companies after graduation. "Now that everyone is heading towards 4K, we made a decision to install a new 4K system so that students can experience the latest technology," said Professor Kazuhiko Saika. The new 4K studio is mainly used for classes of the Faculty of Media and Information Studies as well as at open campus days when students from local elementary schools and junior high schools are invited to social experience classes. 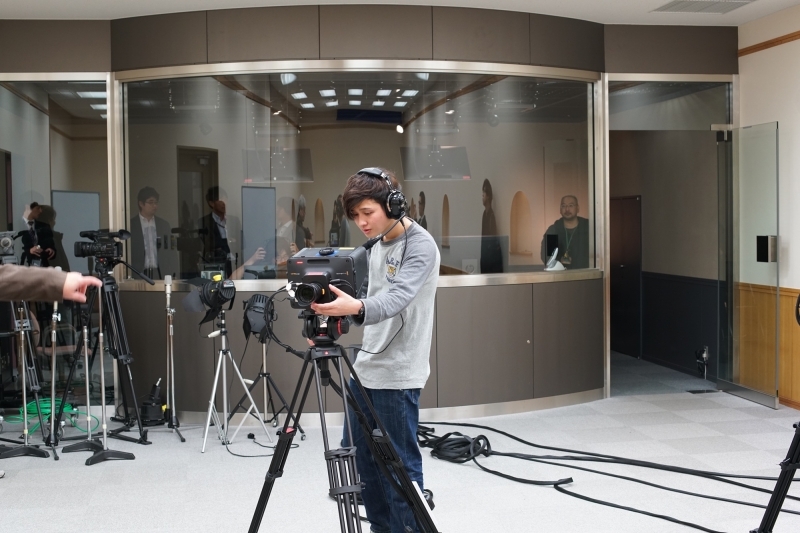 “University students in our classes create news programs with roles for each, such as casters, cameramen and directors. Normally students are afraid to touch broadcast cameras which they haven’t used before. However, with Studio Camera 4K they don’t need much time to know how to use them. You can adjust zoom and focus by touching lenses and it is simple and easy to use with big viewfinders,” said Mr. Masahiro Takada, teaching assistant to Professor Kazuhiko Saika. 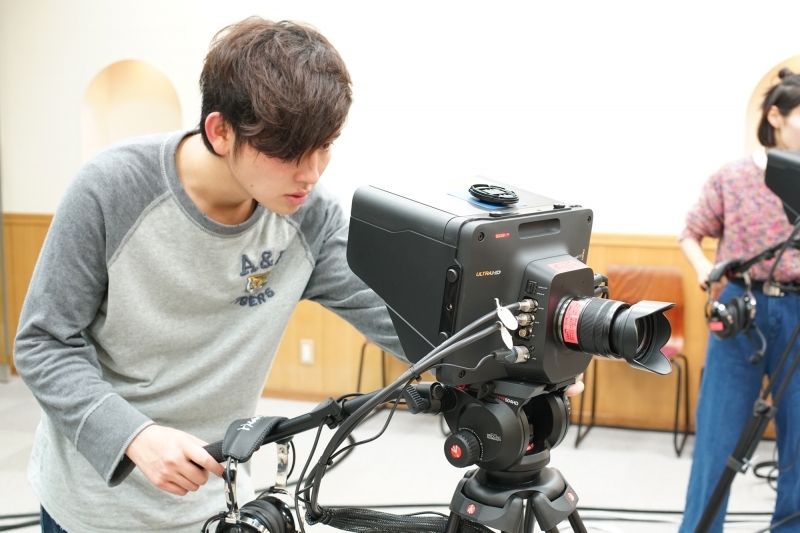 Mr. Takanori Miyake, manager of the university’s Media Center Information Systems said: “These young students actually experience the workflow for news programs, trying cameras, putting picture-in-picture with a switcher. It is great to see them enjoy the 4K video recorded by the broadcast equipment they don’t usually have a chance to touch. We hope to keep on contributing to the local community." They also installed HyperDeck Studio Pro to play background video for blue screen compositing, which is connected to the input and output of ATEM 1 M/E Production Studio 4K for recording and playback. HyperDeck Studio Pro is connected via Ethernet to the ATEM 1 M/E Production Studio 4K for control of the HyperDeck Studio Pro remotely from the ATEM 1M/E Broadcast Panel. “I hope that students learn how to manage the total quality of media production. In the industry heading rapidly towards 4K and 8K. I think it is important for them to acquire knowledge of the whole process from shooting to post-production. We also have a plan to install DaVinci Resolve and DaVinci Resolve Panels in the future because I think that DaVinci Resolve will become the standard application in the industry,” Professor Kazuhiko Saika concluded.